It would have been unthinkable not too long ago. It is true, the Toronto Maple Leafs (15-7-0) and Columbus Blue Jackets (12-7-2) are both on top of their respective divisions heading into the American Thanksgiving break. They’ll meet this Friday in what should be an entertaining game at Nationwide Arena. 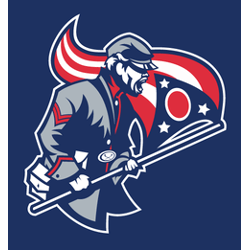 Line: Blue Jackets -135; O/U: 6 Under -115. This will be a rematch of Monday’s game in Toronto, which the Leafs won 4-2 as –145 favorites. They won on a pair of late third-period goals by Zach Hyman. That’s four wins in a row for Toronto, who find themselves alone atop the Stanley Cup futures market at +400. They are well ahead of the Blue Jackets at +1600. And they’ve done it despite Auston Matthews missing 10 games thus far with an injured left shoulder. He isn’t due back until December. Monday’s loss snapped Columbus’ win streak at three games. They’re still the top team in the Metropolitan Division. Their superior puck possession stats to Toronto’s. The Blue Jackets are completely healthy, and they’re getting solid goal-tending from Sergei Bobrovsky, who has .915 save percentage. No. 2 netminder Joonas Korpisalo has a .885 SV%). He has been a disappointment in his fourth year as their back-up plan. Columbus G Sergei Bobrovsky, who is expected to make his 400th career start on Friday, has allowed 12 goals on 219 shots in seven contests this month. Toronto is 3-for-21 on the power play in its last eight games. The Blue Jackets scored six power-play goals in the last seven contests after going 6-for-56 in their first 14 outings.